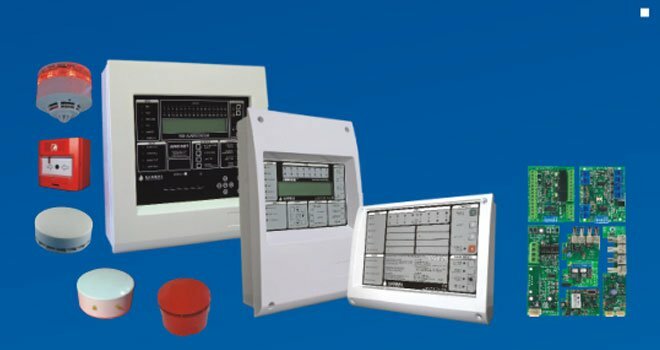 Global Fire Alarm System was started by João Paulo Ajami in Denmark in the spring of 1994 and went through a series of mutations in the quest to become a world player in the development and manufacture of leading edge fire alarm equipment. At the end of 2007, the company became a Public Listed Company, with fully audited accounts and having three main Shareholders: João Paulo Ajami, Luis Magalhães and Pedro Coutinho, respectively Commercial, Production and Financial Directors. With a team of R&D engineers with capabilities ranging from electronic hardware creation to plastic and metal parts design, we are able to implement OEM solutions tailored to the needs of our customer base which is spread across 75 countries in all Continents. 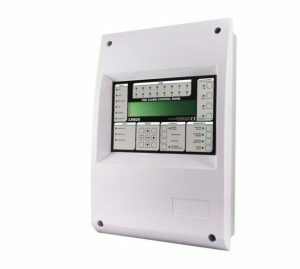 in this type of panel and include: programmable time delay by zone, Day/Night mode, selectable non-latching zones and coincidence detection. Operation is extremely intuitive, offering simple control and one-button disablement facilities, as well as the one man test mode which provides simple and efficient testing of the system. 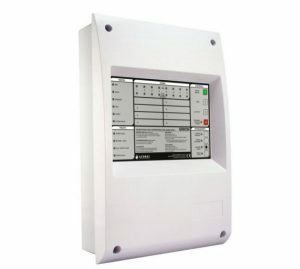 Advanced configuration solutions include the following: a dedicated RS232 communication interface allowing connection of up to 4 remote repeater panels, addressable loop interface modules and multiplexed zonal output relays; giving one of the most highly advanced levels of system integration and compatibility existing on the market at this level. The Global Fire JUNIOR V4 is a single loop Analogue addressable control panel which can be expanded to 2 loops. It provides a cost effective solution for small to medium sized installations. The JUNIOR V4 can support up to 125 addressable devices on each loop which are compatible with major analogue addressable communications protocols. 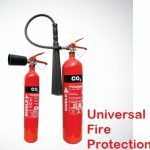 Using Global Fire Alarm System’s advanced communications mechanism, up to 32 individually addressed Loop sounders can be connected to each of the JUNIOR V4 detection Loops. The JUNIOR V4 also supports Shadow and Auxiliary Sounder/ Beacons together with GFE’s new VULCAN 2 addressable Sounder-Beacon-Isolator along with all other GFE Interface devices. 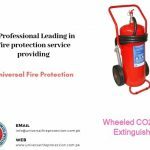 The panel is equipped with a backlit LCD display of 4 rows each with 40 characters to give clear textual indications of Fire/ Fault occurrences to the end user. There are also 16 Zone Fire LED indicators. Junior Repeaters and Mini-Repeaters can be connected via an RS422/RS485, Fibre Optic or TCP/IP interface to facilitate remote display and control of the system. An interactive graphic representation of the system can be displayed on the users’ computer via the ODYSSEY graphical software (optional). All the devices on the system can be displayed on a building plan showing their status in real time. In the event of fire or fault the customer can control the system and access all the necessary information with a few mouse-clicks. Automatic Device Detection at start up reduces time spent at the commissioning stage. In Installation mode the JUNIOR V4 detects and recognises addressed and connected devices with the system being fully operational in less than 2 minutes. The default programming ensures that the system is ready to detect Fire/ Fault alerts from the moment that power is applied. Additional programming, to customise the system can be implemented using a laptop PC running the GFE Connector software which is available free of charge on GFE’s website.